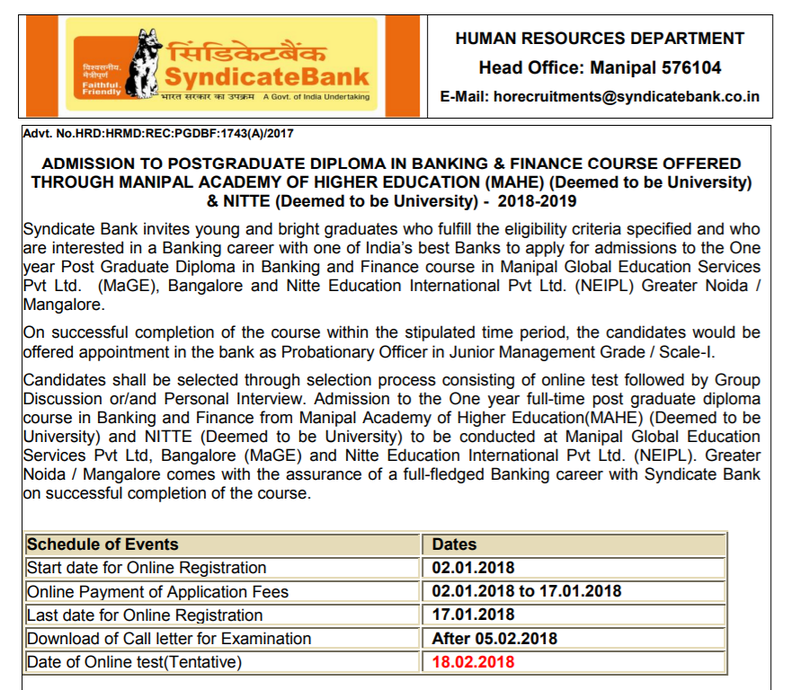 Syndicate Bank PO PGDBF Recruitment – Get here online Syndicate bank probationary officer vacancies through Manipal PGDBF Programme, check here detail Pattern, dates, eligibility etc. Syndicate Bank has released the notification for recruitment of Probationary Officers through PGDBF Programme. 500 + Vacancies in Syndicate Bank PO PGDBF Programme. Syndicate Bank PO PGDBF recruitment 2018-19 brings a big and bright opportunity. 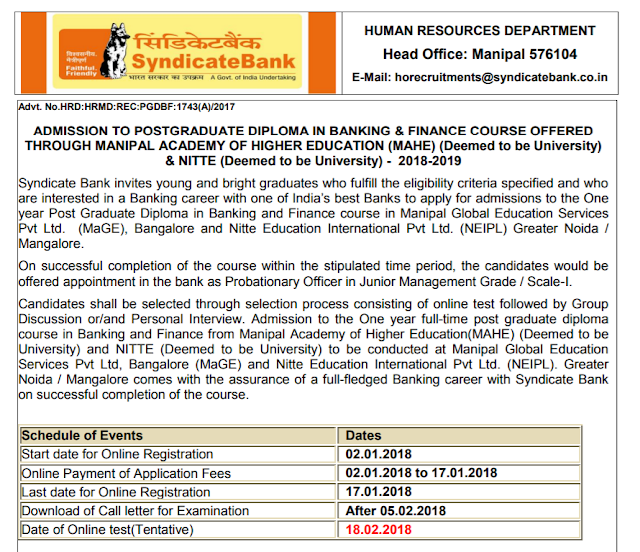 Check Online all details of Syndicate Bank PO PGDBF Manipal Recruitment 2018-19. Candidates shall be selected by Syndicate Bank through a selection process consisting of an (open) online test , Interview and/or Group Discussion.